The new millennium got off to a flying start for Volvo with a series of completely new cars being launched in 2000: the V70, XC70 and S60. The same year Volvo's new safety centre with its unique research facilities was opened, and it still remains the standard-bearer in the industry. 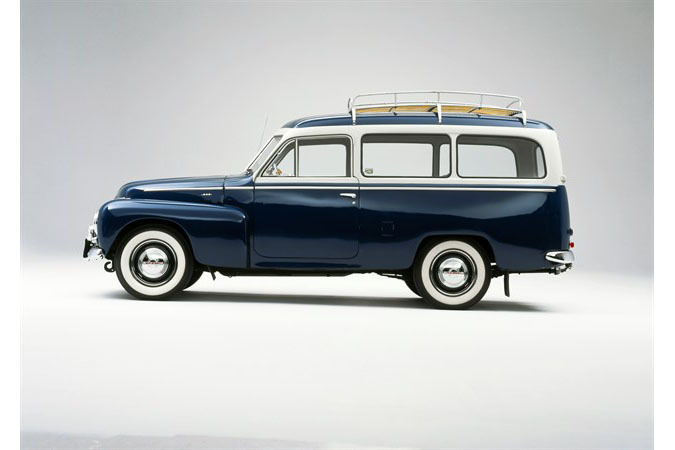 Several concept cars on a number of different themes and various advanced safety innovations were presented alongside new models, while all-wheel drive became a feature that went into more and more Volvos. In 2002, Volvo's first SUV, the XC90, was launched and quickly became the best-selling Volvo model, a position it retained for more than half a decade. In 2003, a new series of compact Volvos, the S40 and V50, were launched, followed in 2005 by a new convertible, the C70, and in 2006 by a compact sporty coupe for a younger target group, the C30. In parallel new fuel-efficient engines were introduced along with systems that assist and aid the Volvo driver. Production in China started in 2006 and new emerging markets like India met Volvo cars for the first time in the same year. 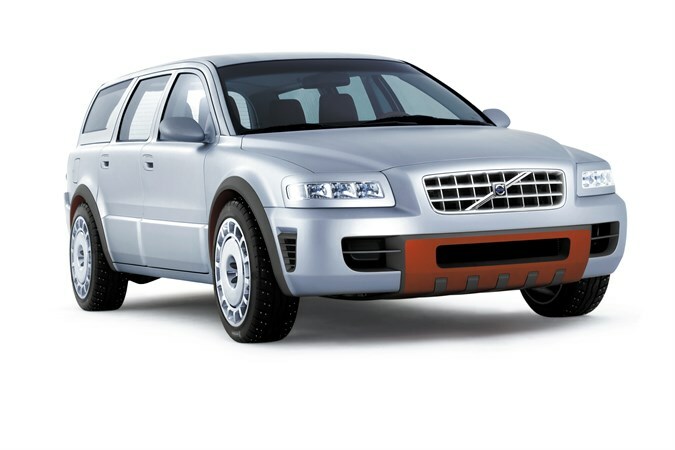 At the 2007 Frankfurt Motor Show, the ReCharge plug-in hybrid concept was shown, signalling new environmental solutions to come from Volvo in the near future. This was followed up a year later in 2008 with the introduction of the DRIVe cars, mid-size Volvos with extremely economical and clean diesel engines. 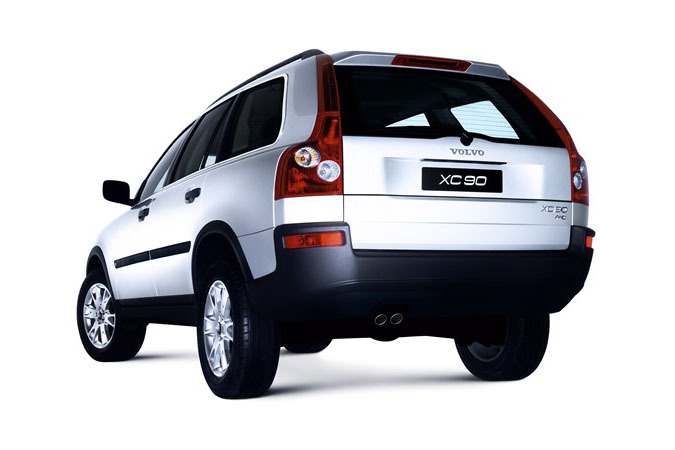 Prior to that, earlier in 2008, a new cross-over model, the XC60, was introduced. The 15th millionth Volvo car, a celeste blue C70, was built in February 2008. 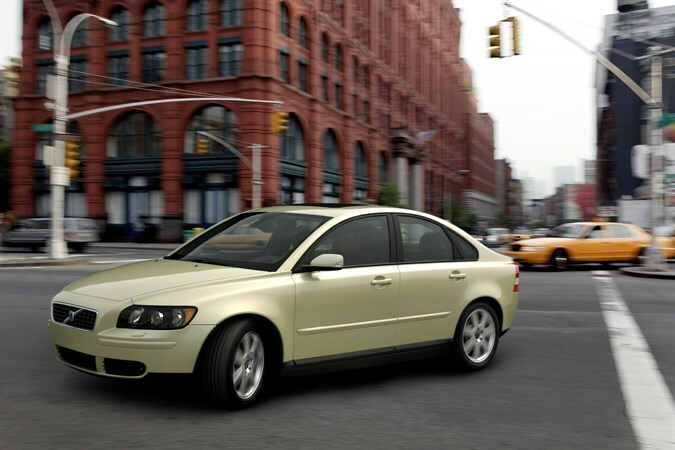 Four new models saw the light of day in 2000: the brand-new Volvo S60, a compact medium-sized sedan, the revised and improved Volvo V70 and V70 Cross Country models (V70 XC), and the new versions of the Volvo S40 and V40. The sporty Volvo S60 received instant acclaim from both the media and its new buyers. With an engine range topped by a 2.4-litre, 250 bhp engine, the S60 was immediately hailed as a real driver's car. 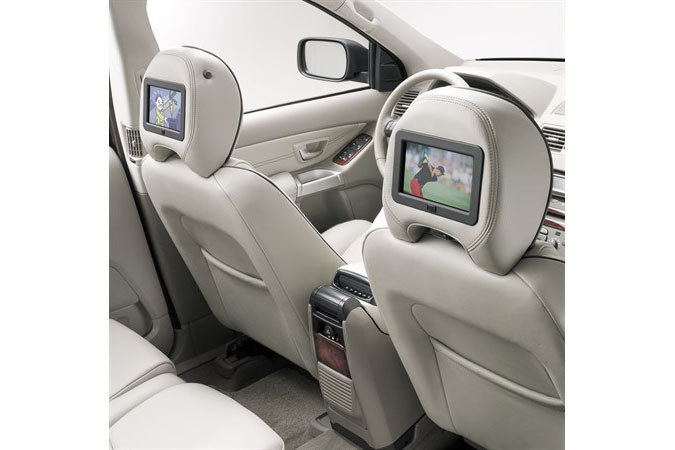 One of many highly-rated innovations in the Volvo V70 and the Volvo V70 XC (renamed the Volvo XC70 in 2002) was the rear seat offering the extra flexibility of a 40/20/40 per cent split. A flexible model had just been made more flexible than ever. 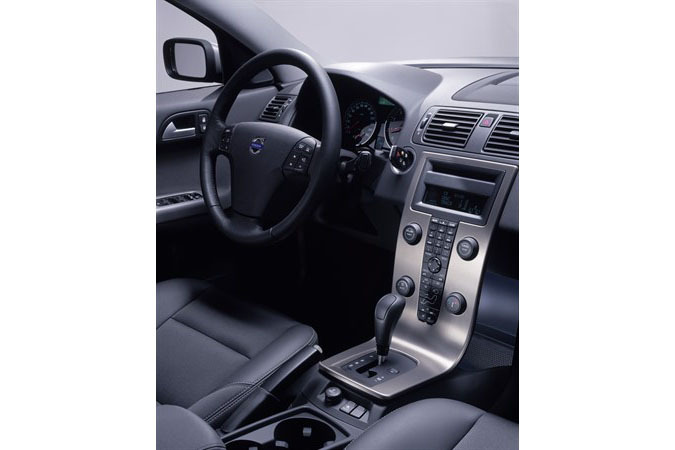 The Volvo S40/V40 were substantially updated and improved to create the Phase II models, helping boost their popularity even further in a highly-competitive market segment. The overall success of all these new models was reflected in the annual sales figures: invoiced sales of 422,100 cars meant a new record for Volvo Car Corporation. Hans-Olov Olsson was appointed President and CEO of Volvo Car Corporation. Volvo Cars sold its remaining stake in NedCar to Mitsubishi. Volvo Cars became the sole owner of AutoNova in Uddevalla. Volvo Cars launched a new generation of environmentally adapted diesel engines. These all-aluminum engines have Common Rail fuel injection, for smoother performance and quieter running. A new turbo unit gave better acceleration and higher torque without increasing fuel consumption. The levels of carbon dioxide produced by these engines are up to 30 per cent lower than those from petrol engines of a similar power output. Other pluses for the environment included an improved and extended range of Bi-Fuel engines. These could now be ordered for either CNG (compressed natural gas) or LPG (liquefied petroleum gas). Bi-Fuel engines reduce carbon dioxide emissions by up to 20 per cent. The first of Volvo Car Corporation's annual Corporate Citizenship report was also published in 2001 (sustainability report). The all-wheel drive version of the successful S60 was launched: the Volvo S60 AWD. Central to this electronically-controlled hydraulic system is the Haldex AWD coupling. A number of other new developments for the Volvo range were released in 2001. EBA (Emergency Brake Assistance), for instance. 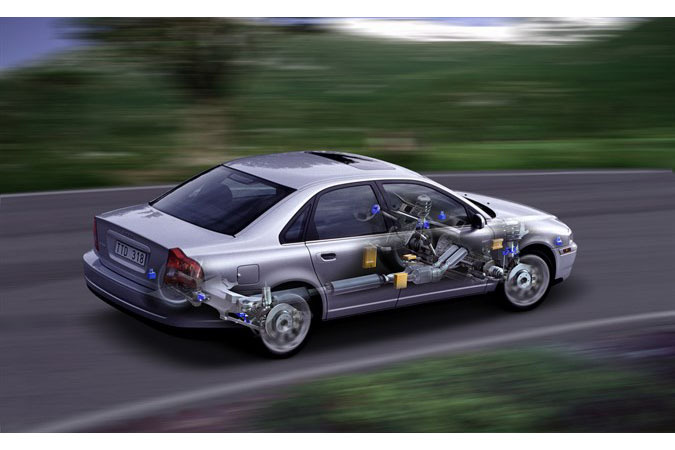 This system is designed to sense an emergency braking situation and instantly boost the braking power to maximum; thereby reducing the car's stopping distance. The Dynamic Stability and Traction Control system (DSTC) is now able to remain active at speeds of up to 120 km/h, and can now also be combined with AWD. And a new type of headlight was introduced: GDL (Gas Discharge Lights). This is a variant of the xenon lamp which produces an extremely bright light. The beam is adjusted automatically to avoid dazzling other drivers, and its height is also adjusted according to vehicle loading. The Volvo Cars Safety Centre continues to develop its forefront capabilities. In its crash laboratory, two-vehicle crash-tests can be staged at the precise speed and angle required. The first Volvo Ocean Race fleet sets out from Southampton in England on 20 September. The yachts have a journey of 32,250 nautical miles ahead of them before they reach the finishing line in Kiel in June 2002. Just days into the New Year, an outstanding new Volvo is launched at the international motor show in Detroit: the Volvo XC90. Named the next generation of SUVs. 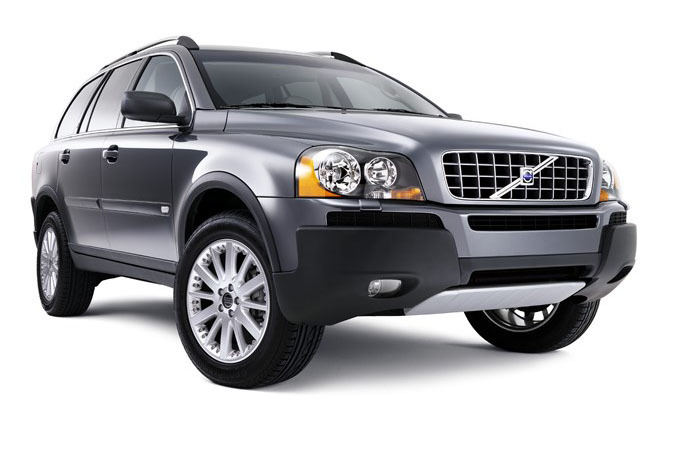 The Volvo XC90 is an SUV (Sport Utility Vehicle) derived from Volvo's large-car development platform. Safety was an overriding consideration throughout its development, including the safety of other road users: smaller cars, pedestrians and cyclists. The Volvo XC90's centre of gravity is lower than that of conventional SUVs. This in itself helps reduce the risk of rollover accidents, and the Volvo XC90 also has a sophisticated Rollover Protection System (ROPS). The Volvo XC90 is also the only vehicle in its size class which is offered with forward-facing seats for seven people in three rows. From the outset, buyers were offered the choice of a five or six-cylinder petrol engine or a five-cylinder turbo diesel. The XC90 was a success from the outset. No other Volvo has won so many awards, so fast. 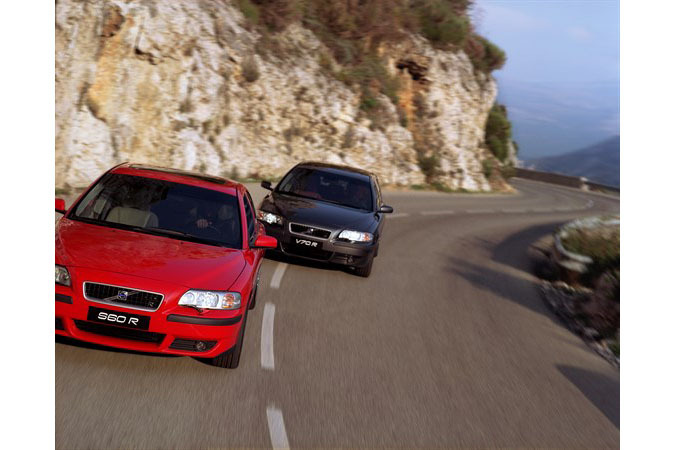 Volvo S60 R and VOLVO V70 R unveiled at the Paris Motor Show 2002. The new high-performance models, the Volvo S60 R and the Volvo V70 R, were first shown to the world at the Paris Motor Show. With a 300 bhp engine developing 400 Nm of torque, these cars have a six-speed manual gearbox and AWD. First introduced in these models was the Four-C (Continuously Controlled Chassis Concept) system, which allows the driver to switch between the suspension modes Comfort, Sport and Advanced Sport at the touch of a button. Volvo Car Corporation celebrated the 75th anniversary of its founding with a banquet for 500 guests. Amongst them were HM Carl XVI Gustaf of Sweden and the actor Roger Moore. 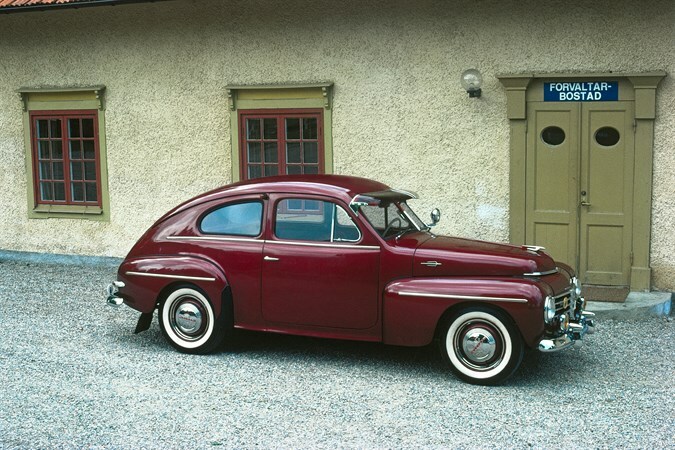 As the anniversary date is the 14th April 1927 considered to be the date when Volvo cars was born, this very day the first Volvo - ÖV4 was driven out through the doors of the Lundby plant, on Hisingen island. At the end of the Volvo Ocean Race, the German yacht illbruck Challenge skippered by John Kosteck was watched by a jubilant crowd as it crossed the finishing line in Kiel. Just before the last leg, the race fleet made a memorable stopover of several days in Volvo's home city, Gothenburg. The ACC2 and PCC2 concept cars were presented. The year started off with the Volvo XC90 receiving the "North American Truck of the Year 2003" award from a panel of leading motoring journalists, making this the model with the greatest number of awards to its name in Volvo's entire history. With five stars in Euro-NCAP, the XC90 received the highest possible safety rating in this safety test. It marked the first time a SUV secured the highest rating. The Volvo S80 next generation was launched with both exterior and interior changes. 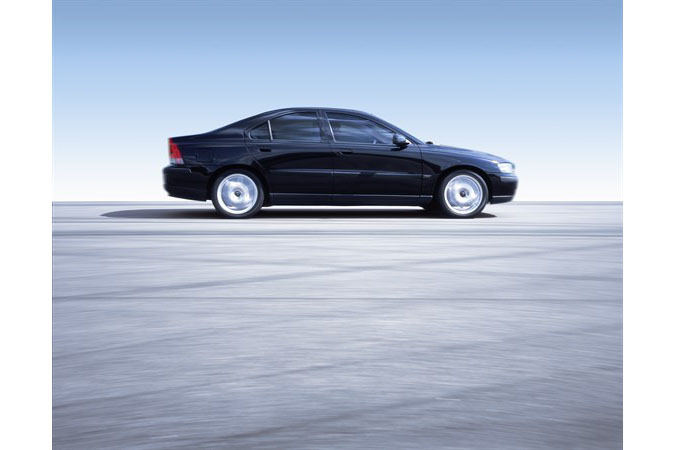 The Volvo S80 was now available for the first time with AWD (all-wheel drive). 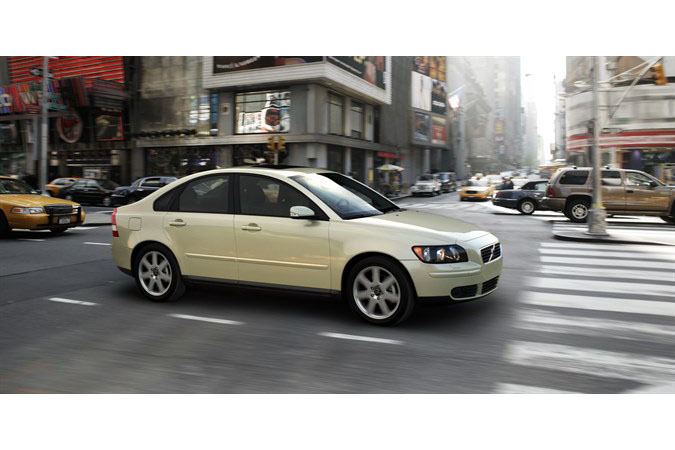 The major event in 2003 was the launch of the new generation Volvo S40 at the Frankfurt motor show. The new S40 is somewhat shorter, wider and taller than its predecessor. The exterior puts the emphasis on sporty, dynamic appeal. The interior has an entirely new design language, clearly anchored in Scandinavian heritage. For the first time, Volvo is offering 5-cylinder engines in this size of car, with power outputs from 140 bhp all the way to 220 bhp. The new Volvo S40 boasts an extremely high safety level, with features such as an entirely new patented frontal structure with several crumple zones and a body that is almost 68% more torsionally rigid than before. Side-impact protection is of the same type as found on Volvo's larger models. The front seats have the Whiplash Protection System (WHIPS). 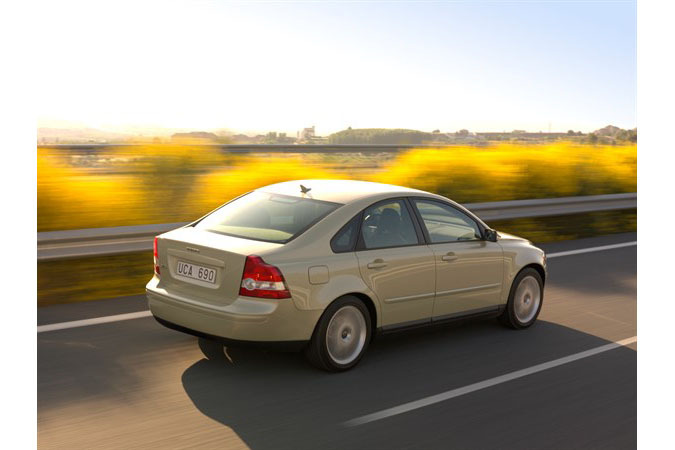 The Volvo S40 with the 1.6 litre four-cylinder turbo diesel engine became the first Volvo to achieve fuel consumption of under 0.5 litres for every 10 kilometres driven. The next new model was the Volvo V50, a sports wagon that replaces the Volvo V40. 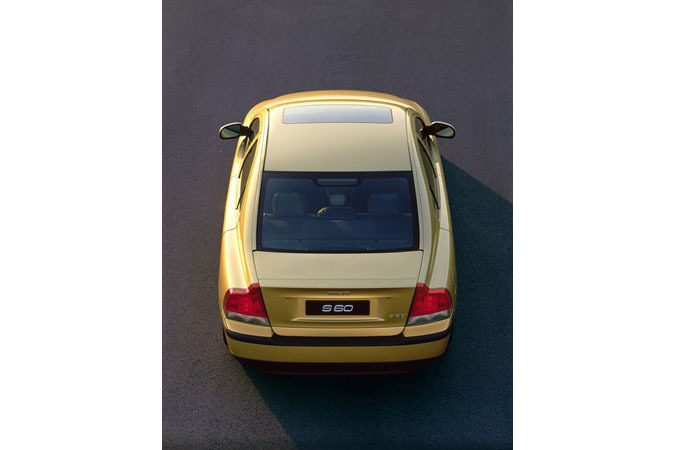 The V50 was unveiled at the end of 2003 at Bologna motor show and entered the showrooms during the first half of 2004. At the Geneva motor show, Volvo surprised everyone by pulling the wraps off an entirely new concept model called the VCC, Versatility Concept Car - a vision of the future showing a premium-class estate car. The VCC has a number of innovative features, not least as regards comfort and environmental compatibility. Its exterior styling draws on classic Volvo features: the distinctive broad shoulders, the styling of the grille and bonnet, the tailgate tending towards the vertical in traditional Volvo estate car style. The VCC's highly distinctive headlights include a system known as "Static Bending Light" - three light units per side aimed at different angles. Some point straight ahead, others are activated only when the car is cornering to left or right. The X-framed roof is mostly of semi-transparent glass, vastly increasing the passengers' sense of space. Solar panels in the roof produce electricity for the VAAC, Volvo Ambient Air Cleaner system, an innovation which removes pollutants from the air outside the car even when the engine is not running. The four individual seats are covered with saddle-quality Swedish leather, complemented by soft Nubuck. The aluminum centre console extends right through the car, incorporating many of the driver's controls. Another striking feature is the Volvo V-Pulse. A further development of existing remote controls for central locking, the V-Pulse goes with the driver when out of the car. It remains in contact with systems in the car at all times. When all is normal, its pulse rate is calm and regular. But if the car's alarm sounds or a door is opened, its pulse rate quickens noticeably. Open it up, and the display inside tells you what has happened. The floor of the load space is electrically operated, sliding in and out for more convenient loading and unloading. Beneath the floor there are two storage compartments. One is heated - for hot food. The other is cooled - for chilled drinks. On the left there is a removable over-night bag in matching leather. As a concept car, obviously the VCC is not for sale, but many of its genes are very likely to set their stamp on the Volvos of the future. Volvo presented its Blind Spot Information System (BLIS) a camera-based system which monitors the driver's 'blind spot', an invention in the front-line for cars. Another first was a side airbag system for convertibles, introduced in the Volvo C70. A new version of the XC90 was launched, with a brand-new compact V8 engine under the bonnet. Three new concept cars arrived in the course of the year - the Volvo YCC, the 3CC and the Tandem. 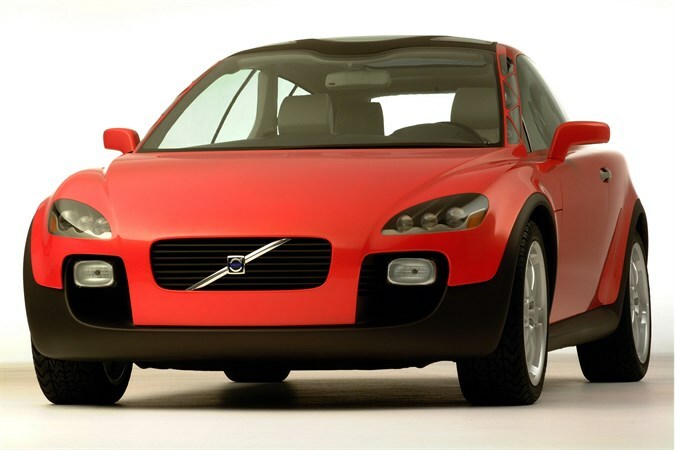 The Volvo YCC (Your Concept Car) was developed by an all-female project team in Gothenburg, a fact which attracted much attention even before the cars was built. The 3CC was developed to investigate alternative energy systems and power trains. And the Tandem came about in response to traffic congestion problems in big cities. 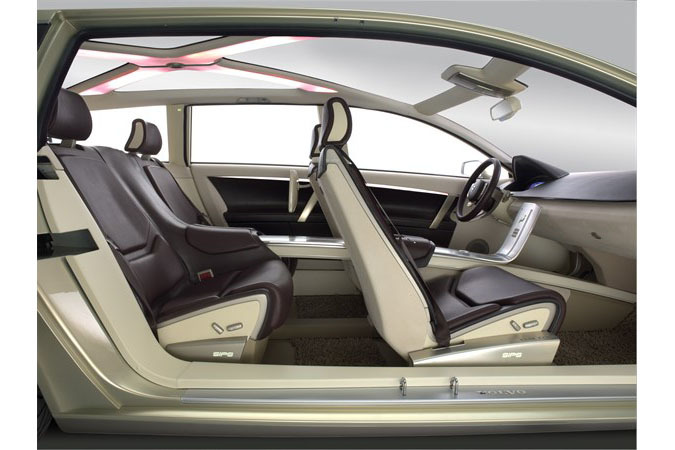 It is a two-seater vehicle, in which the passenger sits directly behind the driver. Volvo Cars organised a two-day international seminar, "Safe & Sound", on the subjects of a safety and a health cabin environment. Volvo Cars achieved a new sales record, with retail deliveries of 456,000 cars. The new Volvo C70, a model with a three-section retractable hardtop, was presented. This car has a door-mounted Inflatable Curtain as part of its side-impact protection system. 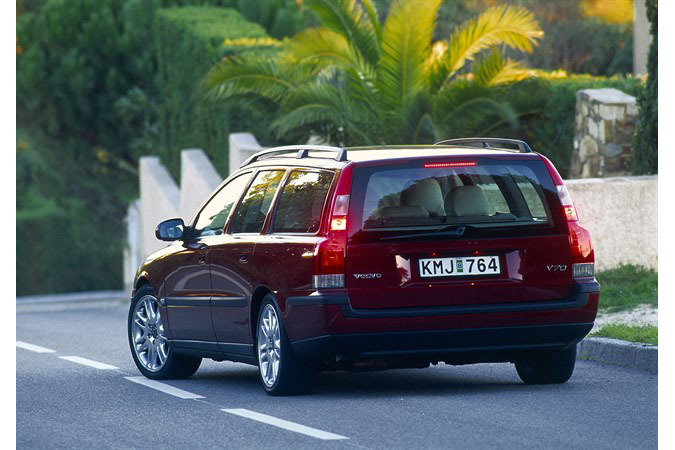 The Four-C chassis system was extended to even more models - the Volvo S60, V70 and XC70. Another new alternative (option or accessory) offered for the Volvo S60, V70, S80, XC70 and XC90 was parking assistance, which uses sensors in the bumpers to alert the driver when too close to other objects. New diesel engines with particulate filters were presented in the S40 and V50 in Bologna in December. The same filters will be used in models with other diesel engines. 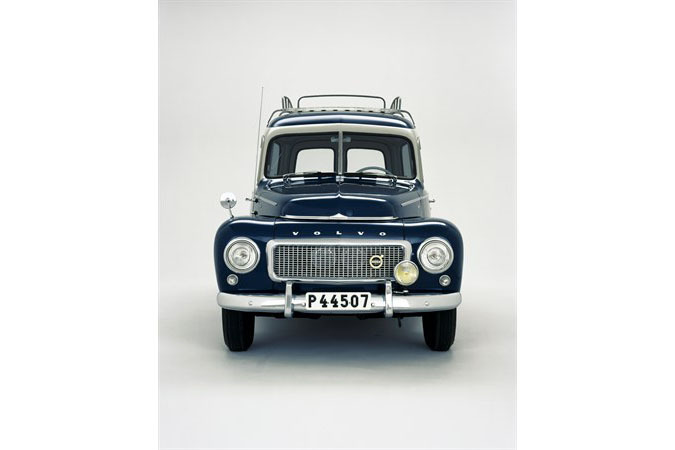 Volvo Cars celebrated 75 years of Volvo taxis and the ninetieth anniversary of the Volvo trade mark. Retail deliveries for the year totalled almost 444,000. Fredrik Arp was appointed President and CEO of Volvo Car Corporation. He took over this post from Hans-Olov Olsson, who became chairman of the Volvo Car Corporation board and Chief Marketing Officer of Ford Motor Company. On 12 November the Volvo Ocean Race fleet set out from northern Spain on the 2005/2006 edition of the round-the-world event. The C30 Design Concept, a smart little coupe, was exhibited at the Detroit Motor Show in January. The production version of the sporty two-doors little Volvo with the glass tailgate is launched later in the year in Paris. Unveiled in Geneva on 28 February is the next generation of the Volvo S80. The V8 is one of its engine options. Volvo Cars begins local production in China, initially with the S40. At the end of the year Volvo presents its new City Safety System, which uses radar to help the driver to avoid low-speed collisions. January opened with the launch of XC60 Concept at NAIAS, Detroit Auto Show. The third generation of Volvo V70 and Volvo XC70 are on display. Volvo ReCharge Concept Car, a plug-in hybrid is displayed at Frankfurt Motor Show. Volvo XC60 was launched in the spring. 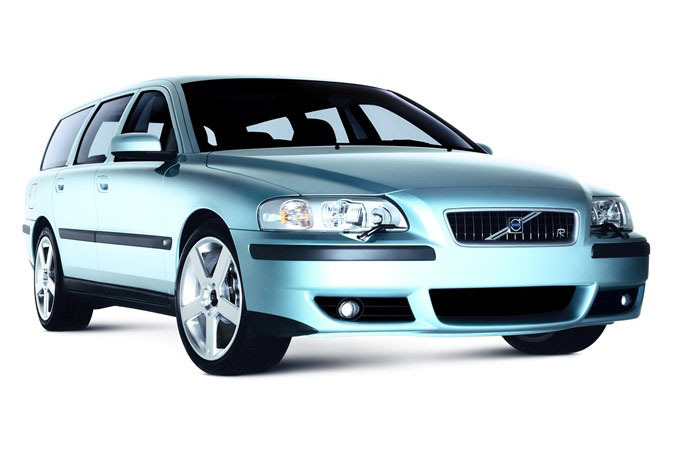 A Celeste blue Volvo C70 was the 15 millionth Volvo car produced since the start in 1927. On 1 October is Fredrik Arp replaced by Stephen Odell as President and CEO, Volvo Cars. At Paris Motor show is Volvo C30, S40 and V50 launched with diesel engines that are fuel efficient and with low CO2-emission - the whole concept is named DRIVe. Volvo Ocean Race 2008-09 started in Alicante on October 4.